SEOUL, South Korea — At about 1:20 a.m. on April 6, 2016, an AirAsia flight bound for Kuala Lumpur, Malaysia, was preparing for takeoff in Shanghai. One of the passengers, a North Korean man named Heo Kang-il, dialed a familiar number on his phone and conveyed a message. At the other end of the line, he says, were South Korean intelligence officers. And on the plane with Mr. Heo, who managed a restaurant in China, were a dozen North Korean waitresses he was about to deliver into their hands — a rare mass defection that became a public relations coup for South Korea. South Korean officials said the women had begun yearning to defect while living in China, where they watched movies and television dramas made in South Korea. But in recent months, that version of events has started to unravel. In May, Mr. Heo and several of the waitresses told a news channel that, while he knew they were all going to South Korea, the women did not. He said the defection was engineered by the South’s National Intelligence Service. A United Nations official who met with some of the women in July said they had been subjected to “deceit,” adding, “If they were taken against their will from China, that may be considered a crime.” South Korean human rights lawyers have sued the spy agency’s former chief and the intelligence officer Mr. Heo said was his handler, accusing them of kidnapping; prosecutors are considering bringing charges. The country’s human rights commission began its own investigation into the kidnapping allegation this week. Unification Minister Cho Myung-kyun, who oversees South Korea’s relations with the North, recently reiterated that the government believes the women came to the South of their own free will, though he said the intelligence service was the source of that information. Now, in a series of interviews with The New York Times, Mr. Heo has said more about what led to the defection. His story — little of which could be corroborated, and which the spy agency refused to discuss, citing the prosecutors’ investigation — is one of lies, shakedowns and betrayal upon betrayal. North Korea had sent him to China to run a restaurant in the northeastern city of Yanji. Staffed by waitresses from the North, who double as musicians, such restaurants are a source of foreign currency for the government in Pyongyang, which is isolated by sanctions over its nuclear weapons program. Only North Koreans who have the government’s trust are allowed to work at the restaurants, and Mr. Heo was certainly one of them. A member of a well-connected North Korean family, he had been inducted into the ruling Workers’ Party at the early age of 29. In 2013, he moved to Yanji, along with 22 North Korean women he had recruited and trained. His assignment was to bring in $ 100,000 a year for the regime. “Chinese restaurant owners favored our workers because they were cheap and worked with militarylike discipline,” Mr. Heo said. The restaurant had a Chinese owner, but Mr. Heo was in charge of the staff. Although they were outside the borders of North Korea’s repressive state, there were eyes everywhere. Mr. Heo said he was monitored by North Korean agents, who began using their leverage over him to demand exorbitant bribes. Those demands, Mr. Heo says, were just one source of stress that began to build as the months in China went on. He also began to hear that friends in North Korea were being sent to prison camps, caught up in a wave of purges. He said he was becoming disenchanted with his country’s system — and interested in South Korea’s. He says he began to nurture a dream of working for the South, and ultimately for Korean reunification. One day in 2014, he says, he approached one of the restaurant’s regular customers, an ethnic Korean Chinese man who seemed to know an interesting variety of people. Cautiously, he said, he asked the man if he knew anyone who worked in South Korean intelligence. The contact put him in touch with a man who, after a series of conversations, identified himself as a National Intelligence Service officer. By 2015, Mr. Heo said he was giving that officer information about North Korea’s missile and submarine programs, which he obtained from friends among the North Korean elite. And he had signed a pledge of loyalty to South Korea. The arrangement went on for months, he says. Then trouble came from an unexpected source. The customer told Mr. Heo that he knew about his espionage and he demanded $ 100,000 for his silence. He pressed his demands so insistently that Mr. Heo moved the waitresses to the city of Ningbo near Shanghai to work in another restaurant, hoping to evade him. But the customer showed up there, too, he said. It seemed only a matter of time before he would be exposed. In early 2016, he began pleading with the South Korean intelligence officer to help him get to South Korea. They discussed May 30 as a target date. But on April 3, Mr. Heo said the officer suddenly told him to leave in 48 hours and to bring all 19 of the women who were working for him at the time. When Mr. Heo balked at that, he said, the officer threatened to expose him to the North Koreans himself. He promised the equivalent of millions of dollars if he complied, according to Mr. Heo. Finally, according to Mr. Heo, he promised that South Korea would keep the episode quiet, protecting the defectors’ families back in North Korea from retaliation by the government. Mr. Heo said he bought 20 tickets for a night flight to Kuala Lumpur and told the waitresses to get ready to move again, but he did not say where they were going. The plan was to get them to Malaysia first, and later to Seoul. Things went wrong quickly. Hours before they were to depart, five of the waitresses disappeared during a break. Fearing that they had gone to the North Korean agents, Mr. Heo rushed the other 14 women to the Shanghai airport in five taxis. But the owner of the restaurant — furious over what he realized was happening, apparently because he stood to lose his investment — pursued them in his car and rammed one of the taxis, Mr. Heo said. The two women in that cab were left behind. After they landed in Kuala Lumpur, Mr. Heo put the women in taxis again. They pulled up at the South Korean Embassy. When the women saw the South Korean flag, he says, they were horrified. Mr. Heo said he told the women that there was no turning back. “If we return to the North, we die anyway,” Mr. Heo said he told them. South Korea, he added, had promised to protect their families by keeping the defection a secret. They entered the building. That night, 10 black SUVs with armed escorts took the party straight to a Korean Air passenger jet, on the tarmac of the Kuala Lumpur airport, he said. The plane landed in South Korea the next morning. 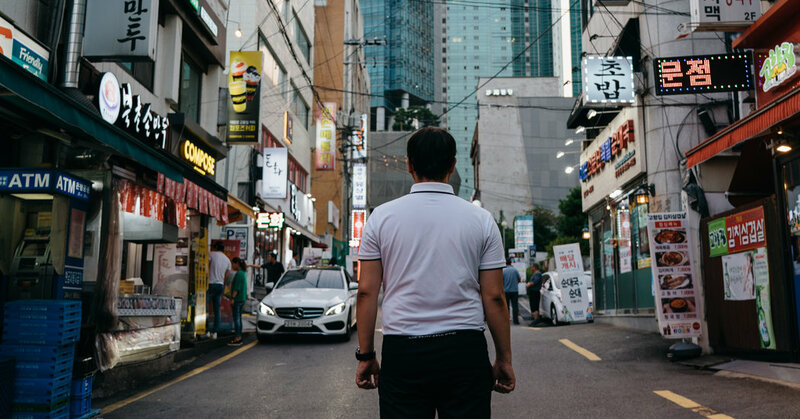 When North Korean defectors make it to the South, the first step is an extensive debriefing by the National Intelligence Service, which can take weeks or even months. The morning after their arrival, the waitresses were in the agency’s debriefing center south of Seoul when they saw themselves on TV. Far from hushing up their defection, the government had announced it to the world. All of the women wept, Mr. Heo said. Mr. Heo now believes that the government timed the defection to generate conservative support in South Korea’s parliamentary elections, which were held just days later. Mr. Heo has received none of the millions he said he was promised. For his work, he says, the spy agency paid him a total of $ 35,500. He has worked as a cashier at a convenience store and driven a delivery truck. In North Korea, he says, his parents and his sister have disappeared.